It is literally the “biggest” thing to happen to Staten Island; the New York City Council’s approval to bring the world’s largest observation wheel (the New York Wheel) and the city’s only outlet mall (Empire Outlets) to Staten Island’s North Shore waterfront. On October 31, the City Council unanimously approved the tourist attraction, voting in support of the New York Wheel, Empire Outlets, as well as city funded improvements for the neighborhood. I can’t think of a better time to buy a home on Staten Island’s North Shore, or a more exciting time to live here. 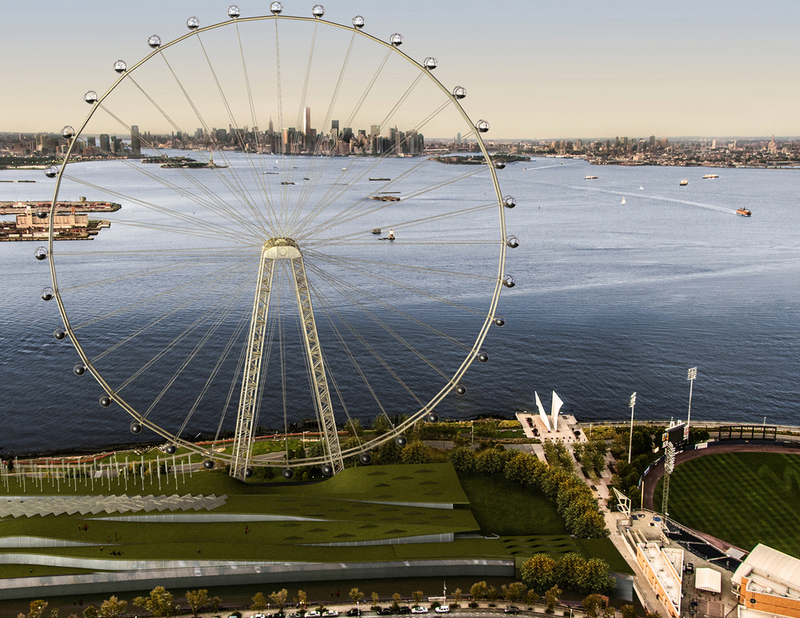 Construction of the New York Wheel is set to begin sometime soon, with hopes that it will open on July 4, 2016. The 625-foot New York Wheel will consist of 36 capsules seating 40 passengers each, and will offer a 38-minute ride and spectacular view of the New York City skyline, downtown Manhattan, and New Jersey. The wheel’s terminal building will include retail and restaurant space, as well as a 4-D theatre and exhibition space about New York City history, alternative energy and environmental sustainability. The site will also contain a 950-space parking garage with a green roof with recreational areas, gardens, a playground, wind turbines and solar panels. Hopes are, it will make the North Shore a destination- not only for tourists riding on the Staten Island Ferry, but for Staten Island residents as well. Meanwhile, Empire Outlets (a separate project from the wheel, although they share much of the same space) is also set to be complete in 2016. The outlet mall, designed by SHoP Architects, will contain 340,000 square feet of retail (with up to 125 designer outlet retailers) in a multi-leveled complex located adjacent to the New York Wheel and Richmond County Ballpark. The mall is allegedly interesting high-end stores like Coach, Restoration Hardware, Michael Kors, Nordstrom Rack, and Brooks Brothers. Empire Outlets will also house a 200-room hotel and a 40,000-square-foot food and beverage deck that will provide extraordinary views of the Manhattan skyline. In addition, the developers of Empire Outlets (BFC Partners) will build a 1,250-space structured parking garage below the retail and hotel area, and a “green” rooftop. The proposals for the wheel and outlet complex didn’t come without controversy and concerns as to how the projects would affect Staten Islanders, and if the current Staten Island infrastructure would be able to support such a large undertaking. But that all seemed to be resolved through negotiations. Among the benefits the plan will bring to the borough include a $51 million city investment on Staten Island. Some of these improvements include a million-dollar traffic mitigation fund, repairs to Richmond Terrace (including its esplanade), and to replace the Cromwell Center. Other projects include a Greenway trail study, free ridership on the New York Wheel to NYC school children for the first year, and plans for ferry service to Snug Harbor. In addition, about $35 million in capital will be allocated by the DOT for Staten Island Ferry terminal design and new ferries. Another potential deal-breaker was resolved through negotiations between the City Council and BFC Partners in regards to unionized labor. The City Council may have rejected the proposal for Empire Outlets, as BFC Partners initially refused to sign a project labor agreement for 100 percent union labor. However, North Shore representatives secured a last-minute commitment from BFC Projects ensuring that unionized labor be used in the construction of the outlet mall. Further, an agreement from the Building Trades was made to hire mainly Staten Islanders. In the end, the projects will generate good, quality, and much needed jobs for Staten Islanders. Both the New York Wheel and the Empire Outlets are sure to encapsulate the spirit of Staten Island and the people who reside here. On a related note, just this September I wrote about the National Lighthouse Museum looking to Staten Island’s North Shore waterfront as the location for their national museum (you can read about it here). 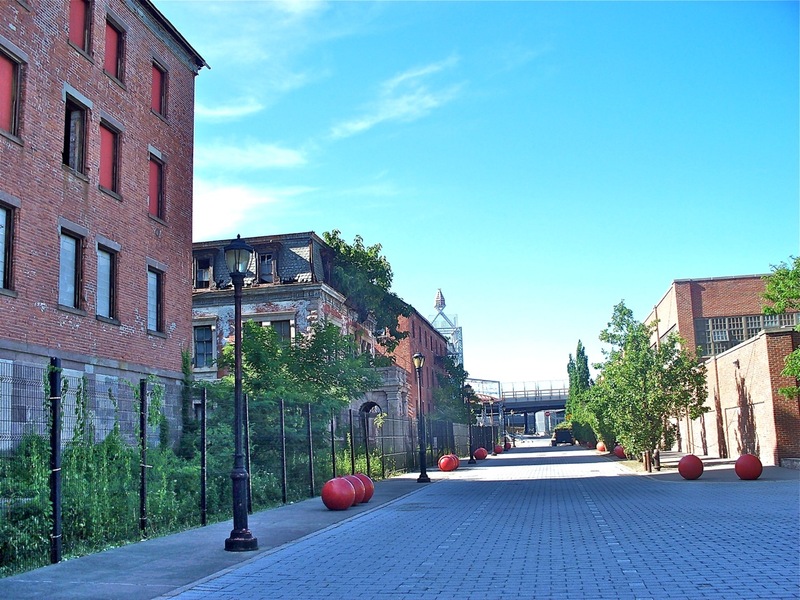 Part of the revival of the Staten Island North Shore includes the renovation of an abandoned waterfront property adjacent to the Staten Island Ferry. This waterfront area, which happens to be the site of the Nation’s oldest recognized lighthouse operation, will hopefully house the National Lighthouse Museum, as long as enough funds are raised to secure the space for the museum. To date, the museum only needs to raise $50,000 more in funds in order for the New York City Economic Development Corporation to lease the space to them. The December 10, 2013 deadline is approaching and museum supporters have turned to Staten Islanders to help them reach their goal. In fact, their request is specific, asking 50 people to donate $1,000 each to raise the remaining $50,000. With their donation, contributors will have a piece of the Lighthouse Museum (a lighthouse model from anywhere around the country or world) permanently displayed with their name, family’s name or business’ name on the museum’s “Wall of Lights.” For more information on how you can support the National Lighthouse Museum, visit their website. Otherwise, Staten Island could miss out on showcasing a large part of our history through this museum. Nevertheless, the North Shore renaissance is well underway, and I cannot wait to see what the next two years will bring! Make sure to check out “The St. George Renaissance” video just released! Feel the energy and excitement and live the North Shore revitalization! If all of this news has you interested in buying a home here, look no further than my website for listings, neighborhood information, attractions, and other helpful information about the home-buying process. I would love to meet with you to discuss your options and why NOW is the best time to buy a home on Staten Island. You can also connect with me on Facebook or Twitter I hope to meet up with you soon!